Socket.io and hapi.js are two great pieces of software for Node. There's no official documentation on how they work together though. I've seen questions about this several times on Twitter and Github, so I thought I'd write a quick tutorial to show just how easy it is to integrate the two. Whenever you create a new connection in hapi, it goes and creates a new http server for you internally. This gets set to this.listener. The offical Socket.io docs show how to set up socket.io when using a vanilla node http server. var io = require('socket.io')(app); // <--- what's this 'app' thing? The app variable in the above example is an instance of a node http server, just like our hapi server's listener. Pretty straightforward right? Socket.io will go and attach itself to the listener (server). You can make sure it's working by going to http://localhost:4000/socket.io/socket.io.js, you should see the socket.io client JS file being served. Why isn't there some kind of conflict between hapi and socket.io? By removing all existing listeners, socket.io is ensuring it gets to the request first. But it will keep hold of any others and if it decides the request isn't intended for socket.io (i.e. the url doesn't start /socket.io), it will call those other listener function instead, giving control back to hapi. How about when using multiple connections? A "server" in hapi is semantically different to a "server" in node. A server in hapi may be listening on several different ports all at once by using multiple connections. My favourite feature of hapi is plugins without a doubt. I love the way you can split up your concerns into separate modules. If I'm using socket.io with hapi, I always embrace the plugin approach to split my realtime concerns into their own plugin. I find this is a really clean approach to divide up apps that use both hapi and socket.io. I hope this short tutorial has been of some help you to. If you've any suggestestions or corrections, please leave a comment or get me at @mt_harrison. I'm currently in the process of writing a book about hapi. 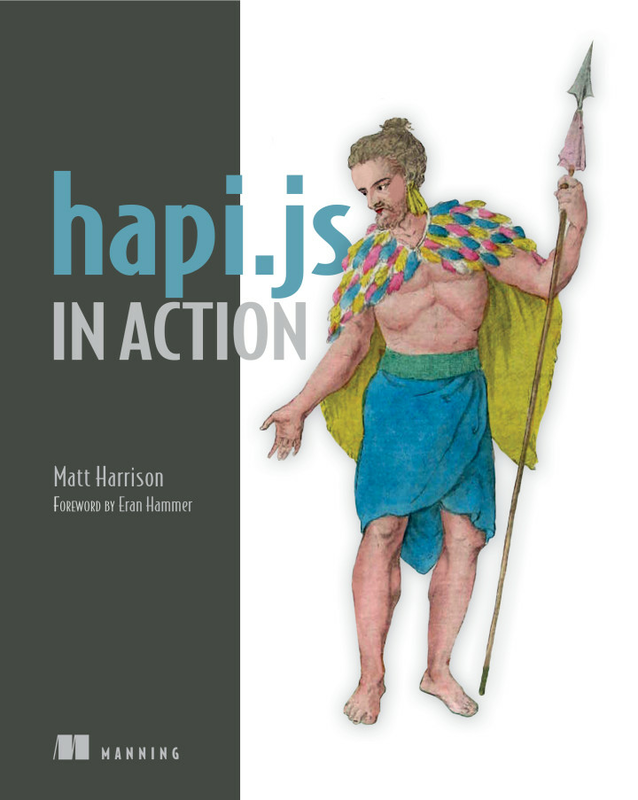 Hapi.js in Action is available now as a MEAP from Manning Publications. Use my author code mlharrison to get 50% off, for a limited time only.